Watershed is proud to offer (on Compact Disc) DIGNUS EST AGNUS: Music of Holy Week and Easter. 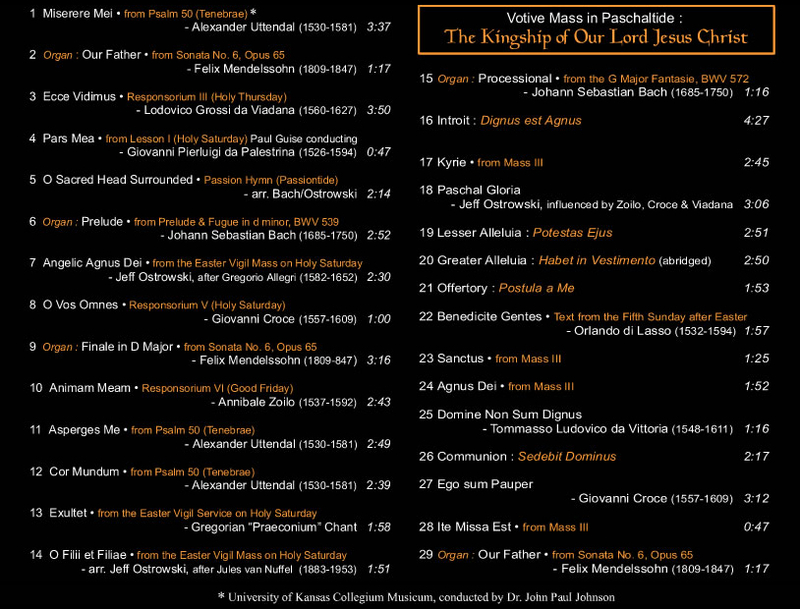 Features works by Lassus, Bach, Uttendal, Allegri, Viadana, Palestrina, Mendelssohn, Croce, Zoilo, as well as Gregorian Chant (Mass III and Propers from the Feast of Christ the King). Please click below to hear audio samples.